It snowed yesterday - we had about two inches and that might be all that we get this winter. It's hit or miss where I live. When I had a caseload in elementary schools, I remember that my students loved talking about their time playing in the snow. 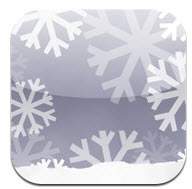 So, if you are coming back from a snow day here are some apps to use in your therapy sessions. This app is a "math app"and was designed to teach symmetry, but could be used to elicit language from students of all ages. You can create your own designs or trace a snowflake. Older students could collaboratively create snowflakes. Some students might need a rubric or simple task card. 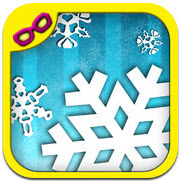 For early childhood students, cut the snowflakes and add the student's pictures and/or vocabulary pictures to allow students to "make it snow" on each picture. Follow-up by saving each picture to PowerPoint or whiteboard presentations, making a class book, or printing pictures to send home. This is a matching activity. Students have to replicate the snowman pictured. 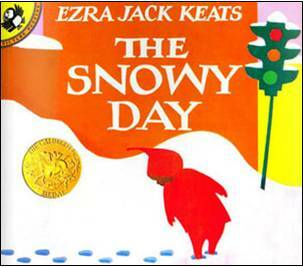 Similar to a barrier game, one or more students could tell another student (or the SLP) how to replicate the snowman. Some students would benefit from the visuals pictured below. Randomly touch and snowballs appear. Use for cause and effect or even for articulation (sn blends or for other phonemes, count the snowballs). 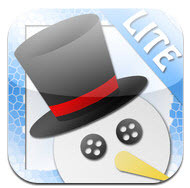 * As of 2016, Snow and Snow Man are no longer found in the app store.